How about a festive touch of Easter carrots at the dinner table? 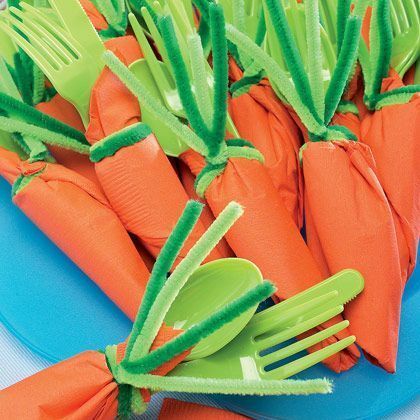 With a few inexpensive purchases and a bit of minor origami, you can wrap up some carrot shaped napkins that will delight your little ones at their first Easter family dinner. Protip: can’t find green silverware? A bit of food coloring will come in handy!